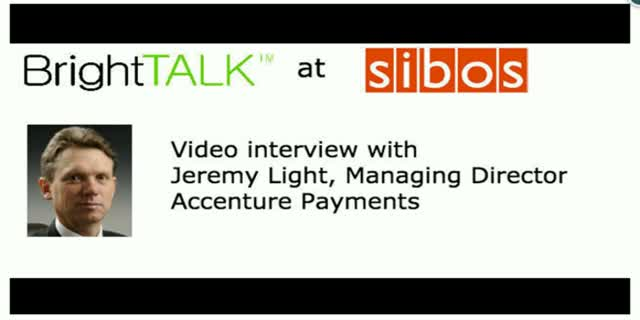 Listen to our interview at Sibos with Jeremy Light, Managing Director at Accenture Payment Services. Jeremy will discuss the benefits of a cashless society and how you can help clients make the first steps to making this a reality. He will also talk about digital payments transformation and share his predictions on what the future of payments will look like in 2017 and beyond.